All connectors have been placed at the unit’s front: An XLR-input, an XLR-output, the power supply connector, and a USB-port for firmware updates via a computer. Once the micophone is hooked up the first step is dialling in the correct amount of preamp gain. 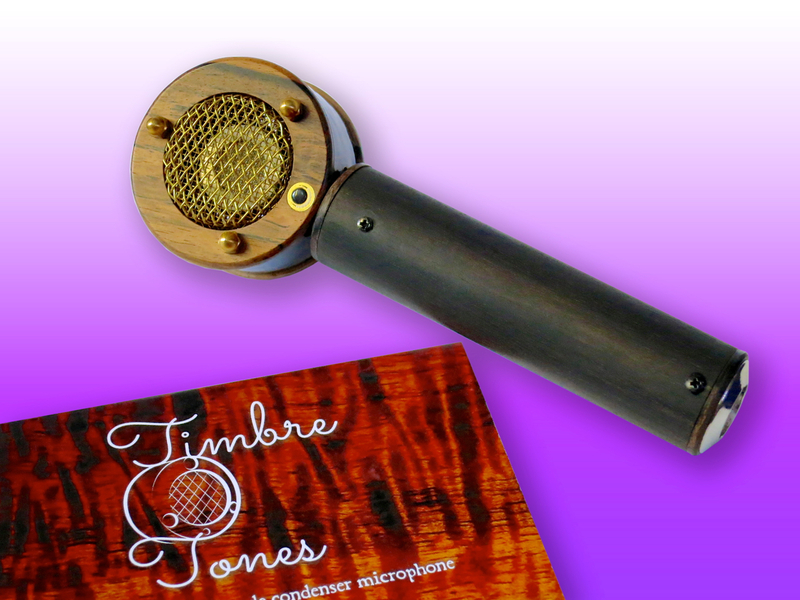 The mic gain knob has been placed on the left side of the Mic Mechanic’s sturdy casing. 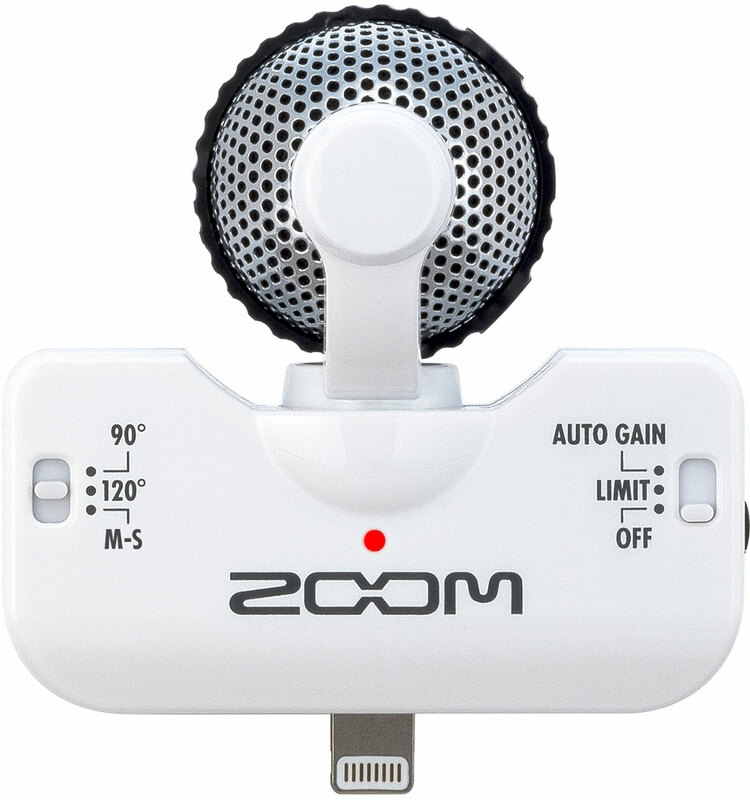 The mic gain is set correctly when the indicator LED lights green while you’re singing, with only the occasional flash of orange at signal peaks. Red light means your input signal is too hot, which will cause audio clipping. The pedal’s tone department is adaptive – meaning it adjusts itself automatically to best suit your specific singing voice. The tone department’s signal chain comprises equalisation, compression, de-essing (an effect for keeping nasty sibilants at bay), as well as a noise gate. Next up is TC Helicon’s chromatic pitch correction – the pedal analyses your pitch and bends flat or sharp notes to the nearest half step. Using the Correction knob you can adjust how tolerant the pitch correction is, when it comes to slightly out-of-tune notes, and how heavy-handedly the pedal will react when correcting wobbly notes. Set to zero pitch correction will be bypassed, while at 12 o’clock the algorithm works unobtrusively to keep things on-pitch, with the use of wide vibrato still possible. 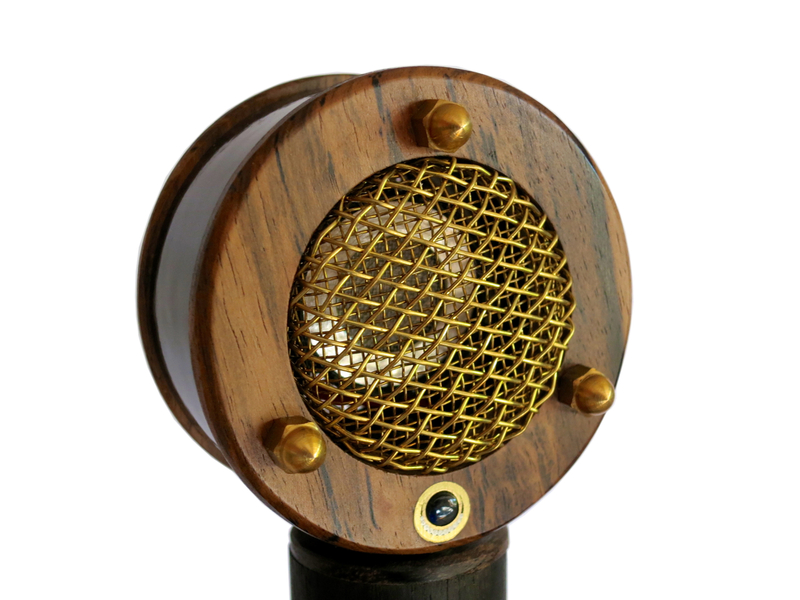 With Correction set to full Mic Mechanic will try to bend everything to precisely the correct pitch, which will lead to the typical artifacts (which sometimes is a desired effect in itself). 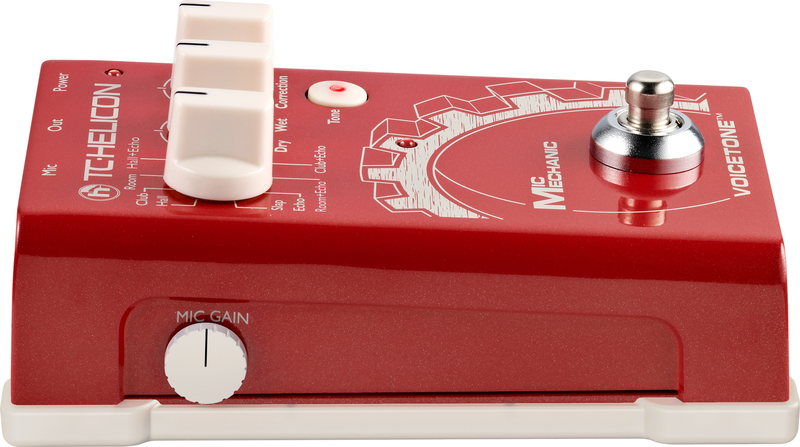 The pedal’s final effect block is the reverb- and delay-section, which offers a Style-selector and a Dry-Wet-control. 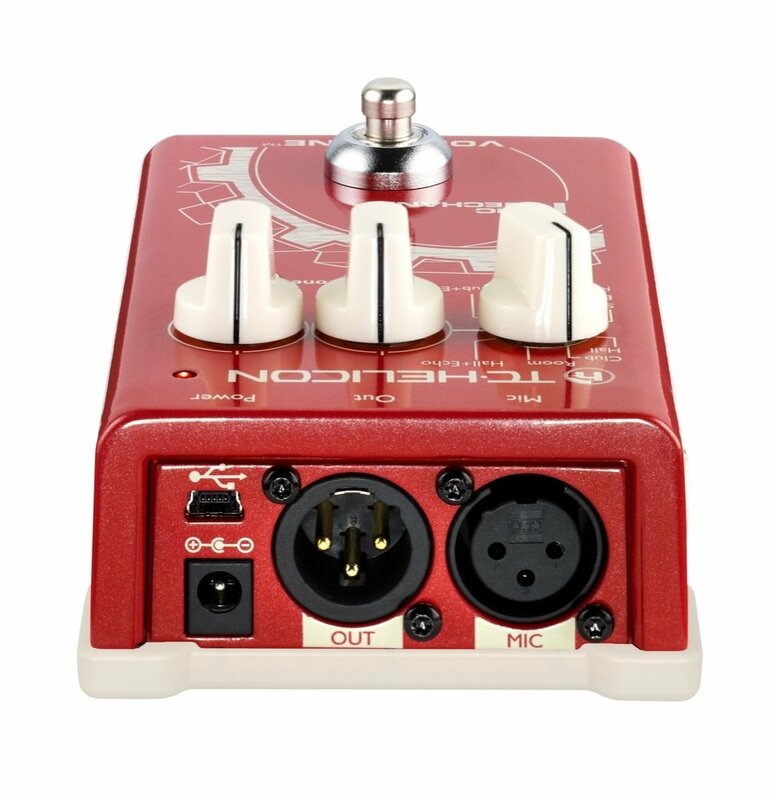 You can use the pedal’s footswitch to change a delay-algorithm’s delay time (tap tempo), while the feedback level (the amount of audible repeats) can be changed with the Tone-button and the Dry-Wet-knob. 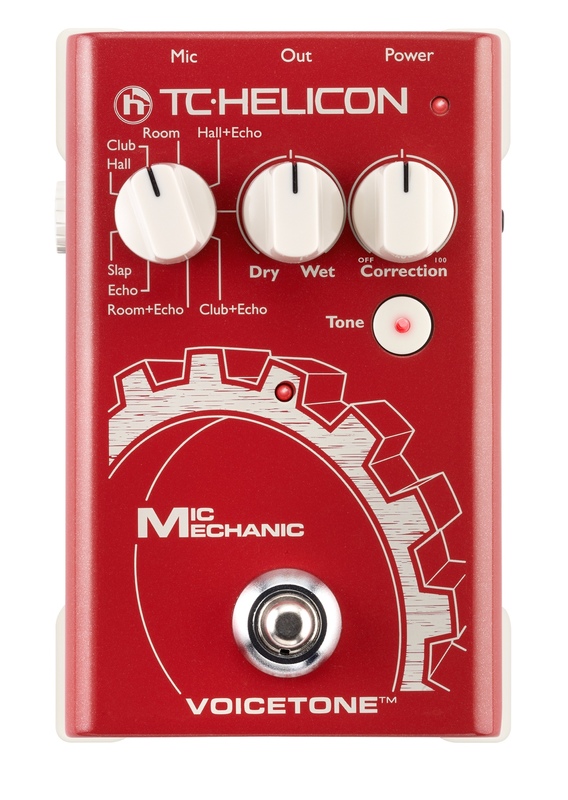 For users of TC Helicon’s own MP-75 microphone there’s the added bonus of being able to bypass the pedal’s effects directly from the microphone – you only have to switch the pedal’s Mic Control function on. 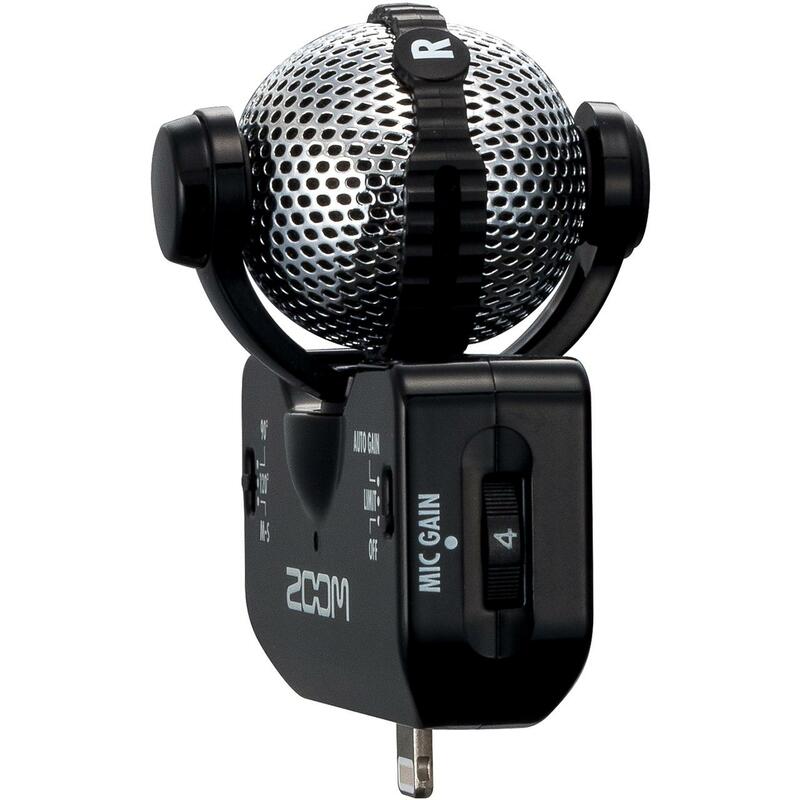 The TC Helicon Mic Mechanic’s biggest forte is its ease of use. No need to adjust a whole lorry load of parameters here – you only need to get to know the unit for a few minutes, before you get the hang of it. Based on my tests, I can only say that the Mic Mechanic’s Tone-module works unobtrusively, in the best sense of the word. 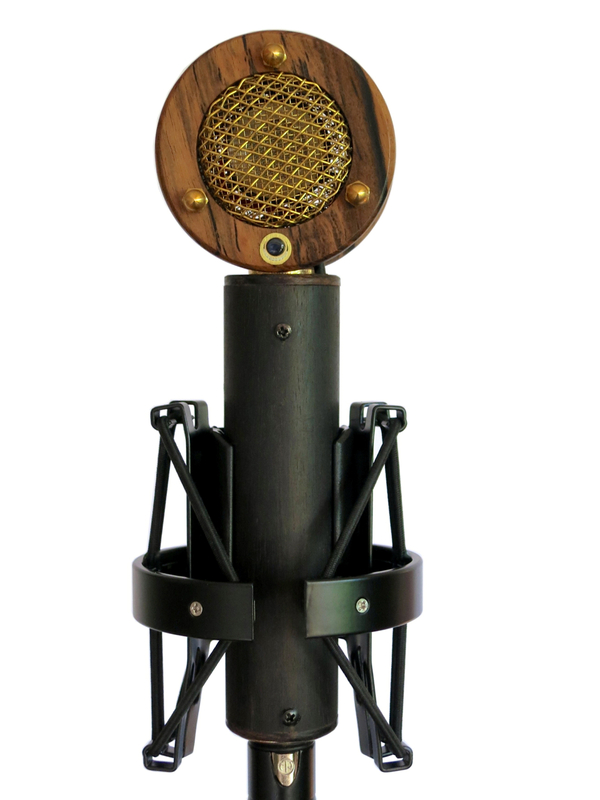 The adaptive automation takes care of business, and enhances your vocal sound with just the right amount of top end lustre and dynamic punch. The pedal’s pitch correction won’t turn a devastatingly bad singer into Freddy Mercury, but when used in moderate doses (Correction somewhere between 12 and two o’clock) it will smooth over the occasional fluffed note. Turning up Correction all the way can also prove counter-productive, because the pitch correction algorithm is set permanently to chromatic correction, and changing the scale isn’t an option (as in more expensive processors). This means that every now and then a really off-the-mark note may be corrected to an undesired half note step, not in the current song’s key. Naturally, all this digital processing takes a little amount of time, resulting in what is called latency. 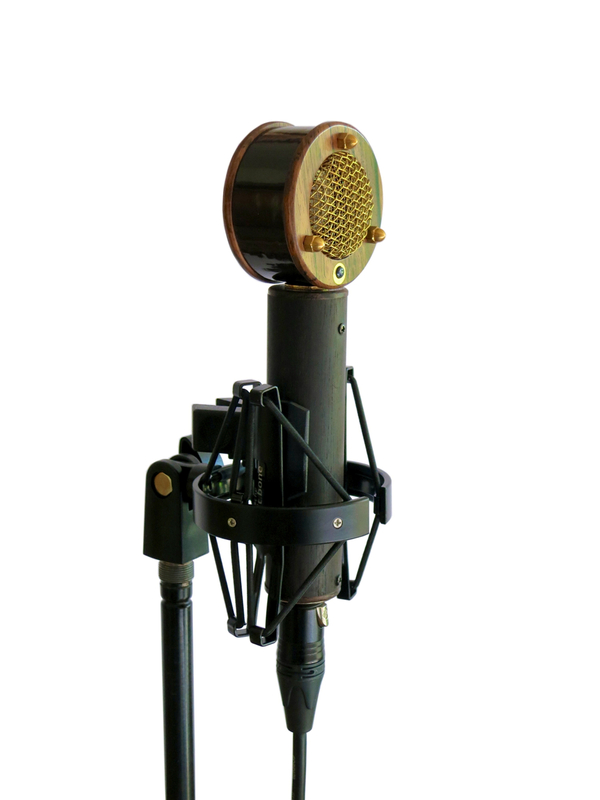 The Mic Mechanic’s latency is very short, which means it won’t negatively affect your vocal phrasing and timing. 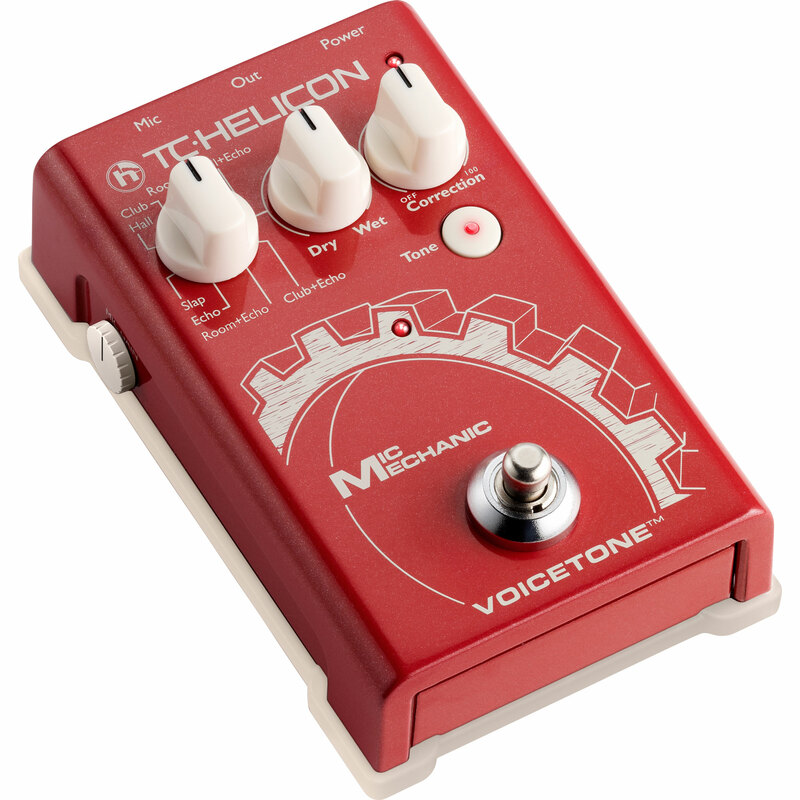 In my opinion TC Helicon’s Mic Mechanic is a great tool for the live vocalist, who wants to take his (or her) sound into their own hands. 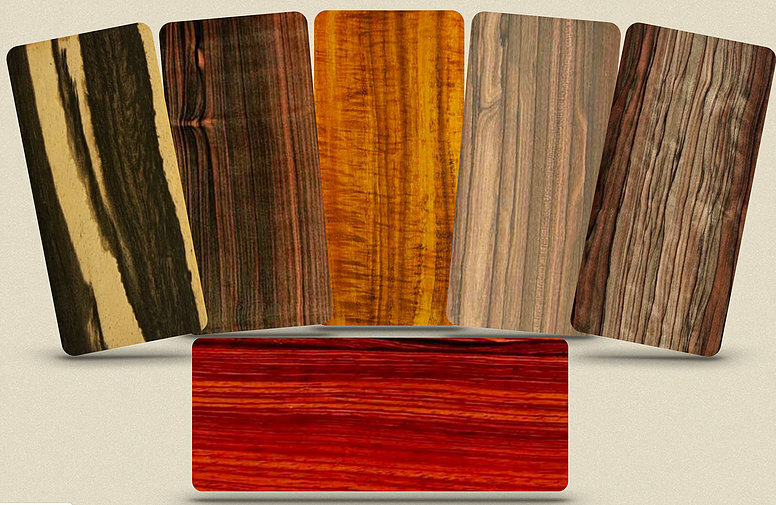 This is an easy-to-use toolbox for the singer, even if it won’t turn everything you do into instant gold. There’s always a place for high-quality tone-shaping, compression and a fine reverb/delay-section, and if used tastefully the pedal’s pitch correction will smooth out the occasional glitch.